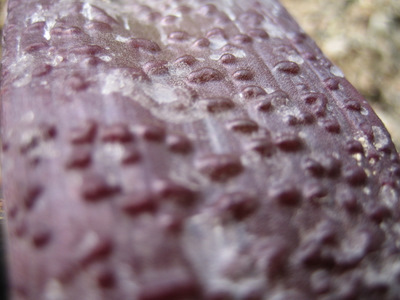 Surface of the leaf - rather late in the season. 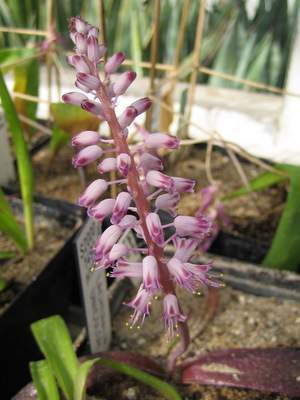 This member of the Hyacinthaceae family was given this name by Nicolaus Joseph von Jacquin. 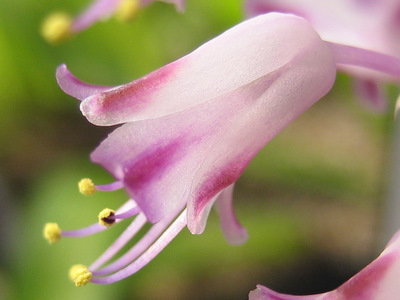 It is found in western South Africa, growing in sand or other well drained soil with some water and some to lots of sun. The bulb is three centimetres, the leaves lay flat on the ground while the inflorescence can reach 25 centimetres. Despite the name, is wary from green tipped white over pink, purple, maroon to blue. Will flower in the real early spring.